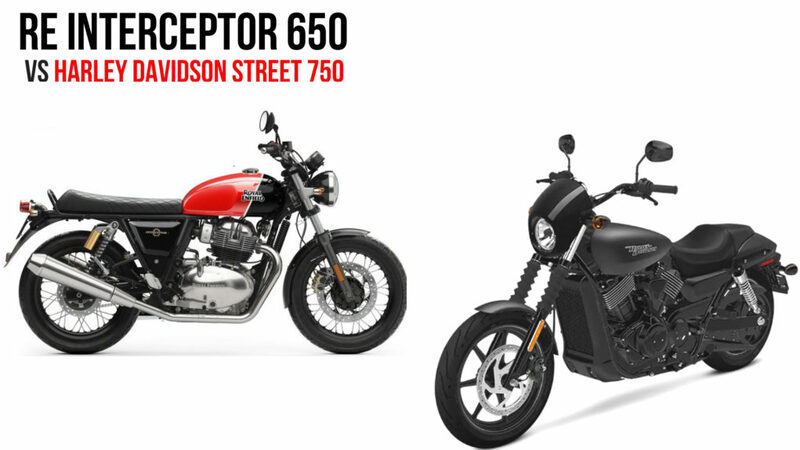 Harley Davidson Street 750 Sales Dropped By 96%, RE 650 Twins Effect? Home Bikes News Harley Davidson Street 750 Sales Dropped By 96%, RE 650 Twins Effect? Harley Davidson has relatively done good business in India in 2018. Unfortunately, they failed to end the year on a happy note. Harley Davidson’s entry-level and their most popular offering the Street 750, one of their best selling motorcycles, has seen a massive drop in sales in the month of December 2018. According to the reports, Harley Davidson Street 750 sales dropped by 96 per cent last month. The American premium bike manufacturer managed to sell only 2 units of their popular entry-level cruiser the Street 750 & 2 units of Street Rod 750 in India last month. Now could this be the RE650 twins effect? For those of who are still not aware, Royal Enfield marked their entry into the competitive premium middleweight segment of India by launching the Interceptor 650 and the Continental GT 650 on November 15th, 2018. Both the motorcycle offer plenty of new features never seen before in any RE models at affordable pricing. Harley Davidson even offered a hefty year-end discount on the motorcycle last year, unfortunately, that too failed to draw the customers attention. Now, if we look at the statistics, the recently introduced 650 twins have identical power outputs, lower weight and are almost Rs 3 Lakh cheaper than the Street 750. It is true that the RE Interceptor 650 and Continental GT 650 come with good looks, quality and brand appeal and the aggressive pricing has also been icing on the cake. 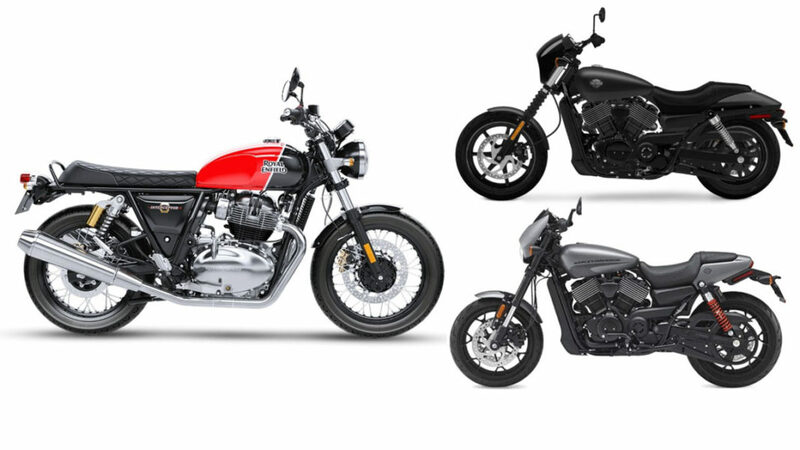 If we compare the specs the Harley Davidson Street 750 is powered by a 749 cc, V-Twin, liquid-cooled engine that produces about 47 bhp of peak power and 59 Nm of torque. While its closest rival the RE 650 twins is powered by a 648 cc, parallel-twin engine with oil-cooling which is capable of producing about 47.6 PS of peak power and 53 Nm of peak torque. Both the motorcycles offer a dual channel ABS as standard now while the RE 650 twins get an additional slipper clutch as well.